President Muhammadu Buhari will sign the government’s long-delayed budget into law on Tuesday, Information Minister Lai Mohammed has confirmed. “We will sign it off on Tuesday,” Mohammed said. 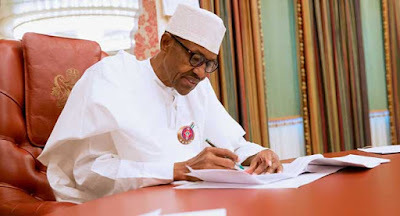 The total sum laid out in the spending plan passed by the Senate is higher than the 8.6 trillion-naira budget presented to parliament by President Muhammadu Buhari in November. Mohammed said he expected the delay would have little effect on government projects. “Even once a budget is passed, there are still processes, due diligence to be done ... this takes time,” he said to Reuters.